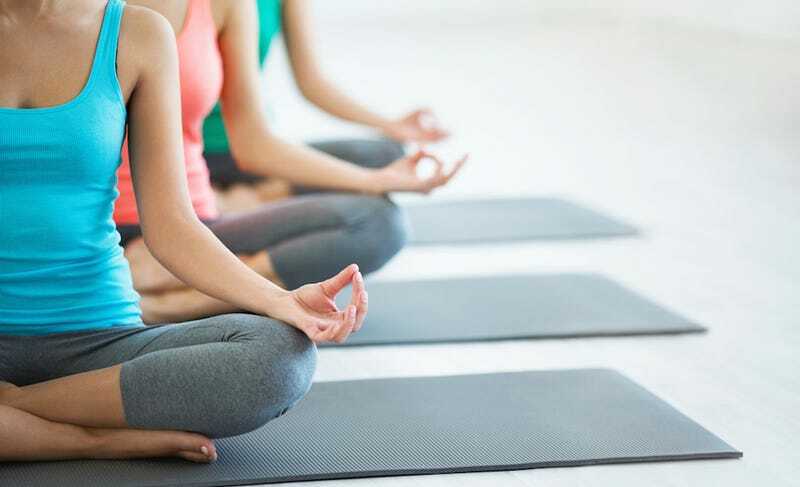 If you are looking for a way to get your body in better shape while enjoying a deeper connection between your mind and your body, then consider giving yoga a try! Yoga has a great many health benefits, but here are just a few to give you a taste of what you will experience at your first yoga class. Lose weight – Yoga can help you lose weight in a variety of ways. First of all it helps you to create nicely toned muscles, and muscles are going to help you fight fat in the body by consuming most of the calories that you ingest, but even more important is the effect that continual yoga class will have on your adrenal functions. The practice of yoga can help your body reduce the cortisol levels that are released from your adrenal glands. Cortisol is what your body releases when it under duress. High cortisol levels have a purpose in the body, but when the levels of cortisol that your body is releasing is continually high, then your body becomes more susceptible to infections or weight gain and over eating. Increase your flexibility – better flexibility is probably the most obvious benefit of practicing yoga. After all, the first thing a new comer in a yoga class will notice is how incredibly flexible the instructor and the experienced students are. Add to your muscle strength and your flexibility – When our muscles are strong then we tend to burn more calories throughout a normal day (muscle consumes more calories than fat.) Added strength in your muscles will also add to your flexibility. Injury prevention – Healthy muscles will also help you to keep your body in the proper alignment and they will protect your body from injuries. For example, you are less likely to hurt your knees during a run if you have good strong muscles in place that are holding your kneecap in place when it is being stressed. Helps you get better sleep – one of the best side effects of yoga is that it can help a person to get a deeper and more restful sleep at night. Part of the reason for this is that yoga classes require you to turn off your brain for a moment and just be present in the moment. It also takes us away from technology for a short while, which helps our brains to calm down and go to sleep better. It makes you happy – We live in a modern world where we are constantly bombarded by images from screens, whether it is our cell phones, our tv’s, computers, or even from signs on the str4eet for shops and billboards. Yoga is one of the few opportunities that we are given where we get a break from all of the noise. The emphasis in yoga is meditation and reflection. It is not about being the best, or the most flexible in your class. You do not compete with anyone to win anything; it is all about you being present in the moment. This is quite possibly the best benefit of practicing yoga.